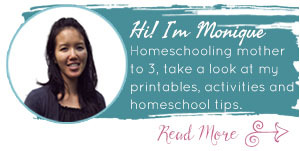 We’re jumping right into my favorite subject and getting into some science worksheets. We’ll be working on the human body next, so look forward to getting some more printable worksheets to help your kids learn about their bodies. 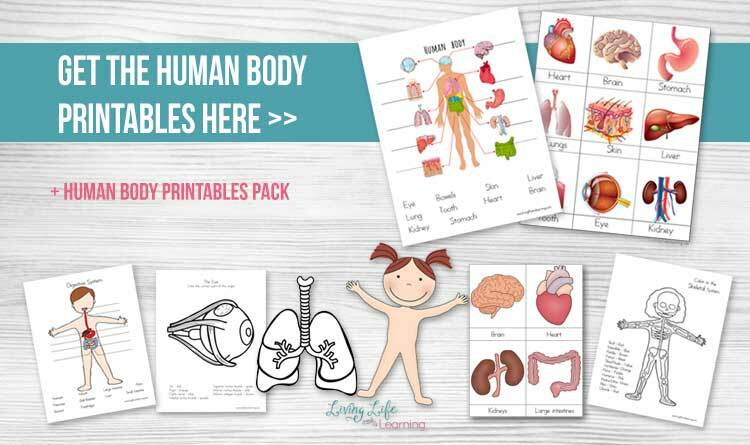 These human body printables for kids introduces some of the main human body organs and I also have a library of other human body worksheets for kids that explore the various systems. You’ll get one page of the fill in the blank and another page of the cards to match up the labels to the pictures. On the first worksheet, it uses the words bowels to include both small and large intestine, I’d prefer to keep them separate but I had no choice with the image I was using. My plan is to go through each of the body’s systems so stay tuned as we jump into more details later. Right now I wanted to give my child a bigger picture overview and get him use to seeing the organs. I left it up to him to ask me what they did, he wanted to know how kidneys worked and I explained how they filtered out unwanted waste to create urine. Of course, he had to laugh at the organ that created pee. Don’t even get me started on bowels with him. It will be a fun study so we’ve gathered up some books and will be jumping in. Try one of these human body activities to get a more hands-on experience so your kids can see what is really inside the body. Some kids need more concrete examples or to feel and touch the models to get a better sense of their own bodies. We’ll start with some of the major organs as I try to gather more images for what I want to teach my son. Extend the activity by reading your favorite human body books or finding specific features or systems your child has interest in. 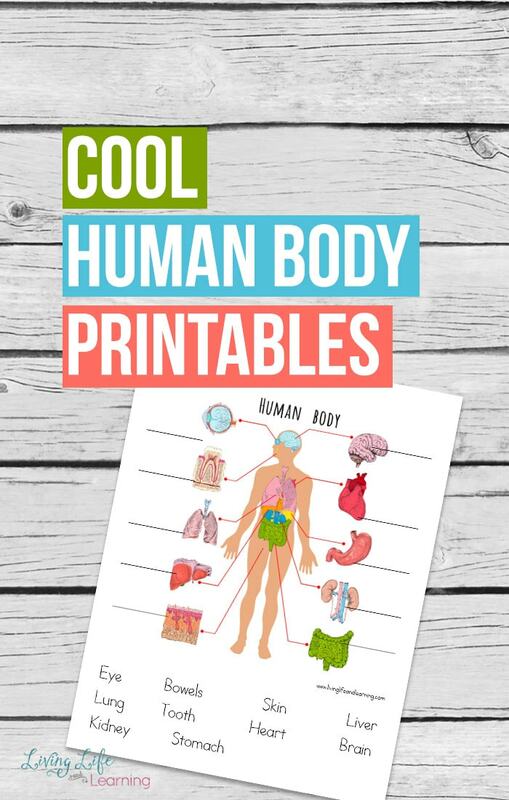 Print out the human body printable worksheets here. 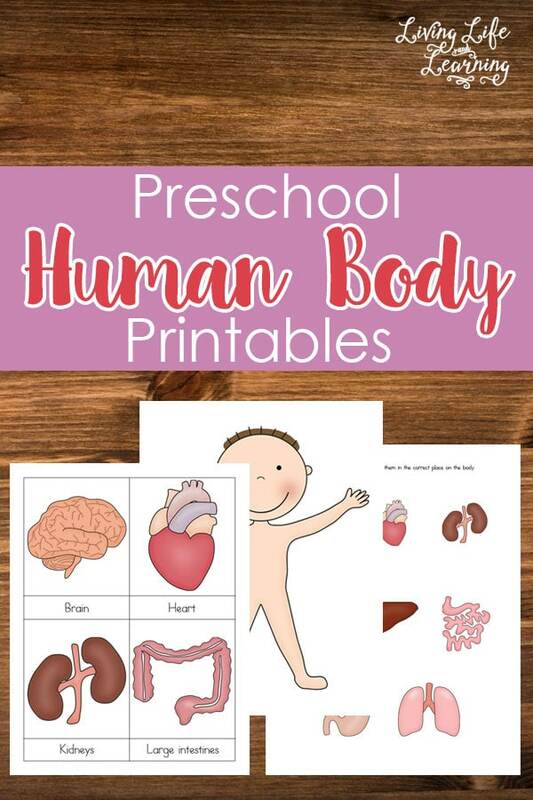 I also have Preschool Human Body Printables too. 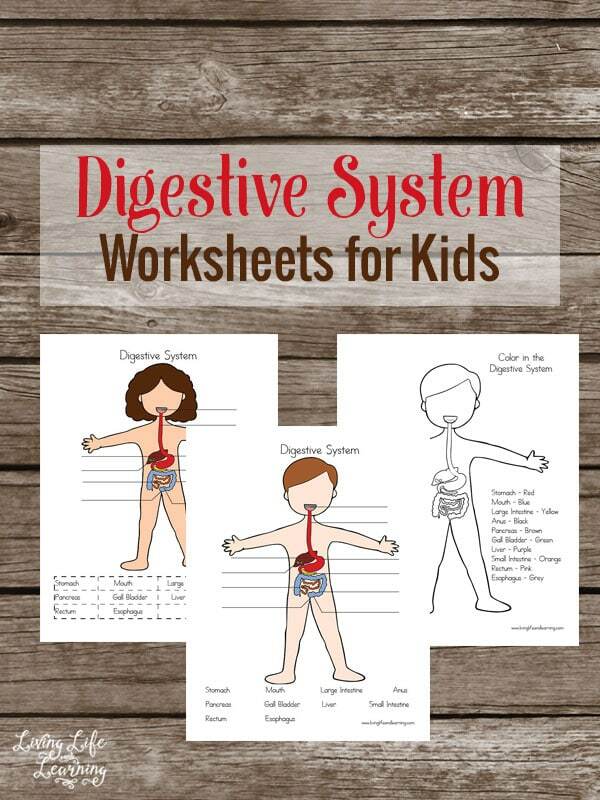 You can also find my Digestive System Worksheets as well. Hands-On Learning about Taste Buds from Look! We’re Learning! What a wonderful resource! They are perfect for human body units. We will be using them the next time we are learning about anatomy. Pinned for future reference!! Have a blessed weekend!! The download link (see browser address bar) couldn’t be found in the wp_eStore database. Thanks I”m looking into the issue and sent you the pdf. Thanks so much for sharing these incredible units. My 7 year old niece want one with everything. She asks about the appendix, Pancreas, and the gallbladder. Any ideas where I could find that material? Thanks again love these units. My 5 year old son really enjoys them. I’m glad she’s enjoying them. I’m working on adding more so once I can find great clip art, I’ll update this. HELLO! these printables seem amazing and i would love to use them with our little but for some reason it keeps saying my email address is invalid. i have tried both of the ones i have and neither one is working. is there any other way i can get access to the print outs? Tara, I manually added you to the list and you should have received the printables, let me know if that didn’t work. Love the level of detail and color provided in your resources! I’m starting a month long human heart journey with my 3 year old and I look forward to referencing some of your material. Thank you! I love your blog. I subscribed, and am excited about everything you share. I appreciate it thank you! I am also wondering about the human body printables, when I subscribed it said I would have access but I can’t find it anywhere and only the gratitude journal link was sent to me (which I love!) AM I doing something wrong? Thank you…. I am a Montessori elementary teacher and am developing a small unit on the body systems for my students. Thank you! I’m so glad my work is helping others.